Hive Student Accommodation has released its annual forecast for the Brisbane Student Accommodation market, revealing the extent of upcoming development for the region. The report draws on released data, recent development applications as well as the company's insight into current market demand and trends. 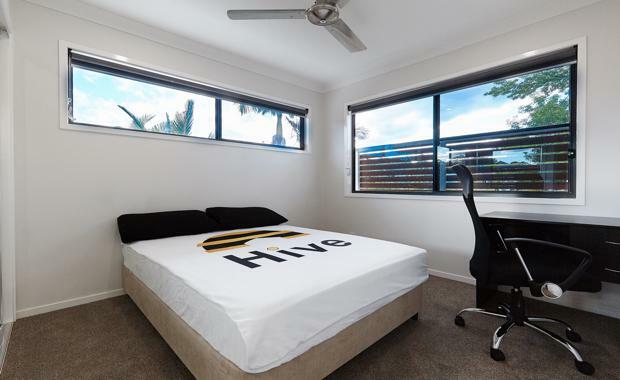 Hive found that the existing supply of 6,000 beds in the Brisbane market was lifted by almost 1,500 beds in 2016, with new offerings from established Purpose Built Student Accommodation (PBSA) operators The Pad, Student One and Iglu. The growth has been attributed to international student enrolments and their strong demand based on the low Australian dollar. Helping to drive the numbers were the streamlined international enrolment process thanks to simplified Visa processing systems, and international marketing campaigns from universities and government agencies. The report said that demand for medium priced rooms, ranging between $150 to $250 per week remains very high with low vacancy and limited new supply coming to the market. Strong student demand is expected in 2017, according to the report, however Hive believes rental rates will hold steady due to competition as newly constructed PBSA complexes pursue full occupancy. Hive Director Daniel Brennan said that despite the recent development spike there is still plenty of room in the market. “Most of the new developments and future Brisbane pipeline is centered around the CBD making it a competitive location," he said. "We still see strong demand and opportunities in underserved markets around St Lucia (University of Queensland), Kelvin Grove (QUT) and Mt Gravatt (Griffith University). “It’s clear more supply is needed for the student market, in 2015/2016 Hive achieved over 97% average occupancy, so we remain bullish on the student market. "Mr Brennan said Hive would continue to build on its management portfolio of small-medium (20-200 bed) PBSA buildings. The market should have a clear outline of the total supply by mid to late 2017, as June 30 marks the cut off date for those hoping to take advantage of Brisbane City Council’s Infrastructure Charges Reduction.